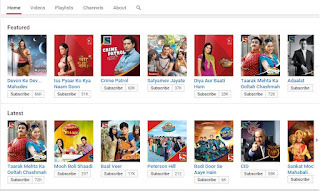 Now you can watch your favorite TV serials on YouTube at any time. No need to worry about timing of your favourite episodes, Almost all Chanel's episodes are available. 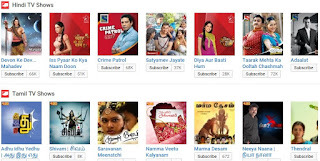 It is possible to watch Serials broadcasting on different channels on same time. No need to wait till late night for repeated telecast, to watch your favorite channels serials. You can enjoy parties, social functions and festivals without worrying of missing your favorite episodes. Travel freely without worrying of missing episodes. Almost all TV Dramas and Comedy Shows are available online. Even you can find your favorite channels, serials and episodes and language easily on one click.